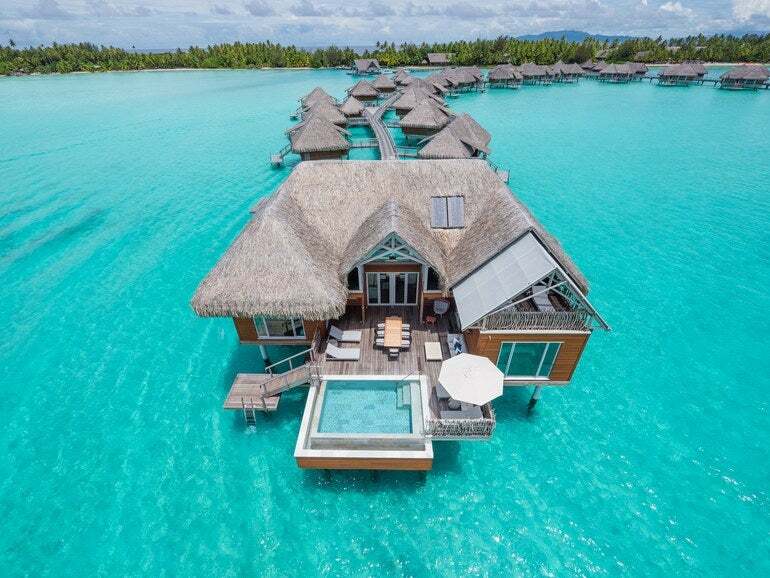 When it comes to romantic destinations, who can resist the allure of a luxurious overwater bungalow? From the off-the-grid seclusion to the dreamy, picture-perfect views, everything about it screams romance. But with so many options to choose from, where should you start? From Bora Bora to the Caribbean, these overwater bunglows are what your baecation dreams are made of. When it comes to relaxation and romance, the overwater villas at the St. Regis Maldives will take your baecation to an entirely new, and luxurious, level. Pop your welcome bottle of champagne and toast to love as you look out the floor-to-ceiling glass doors to spectacular views of the Indian Ocean. Allow your St. Regis butler to arrange private dining, couple spa treatments, or island hopping aboard the resort’s private luxury yacht. Be sure to book the Sunset Overwater Villa for views that are made for love. At this floating eco-luxe resort, you can leave your cares – and your shoes – at home. 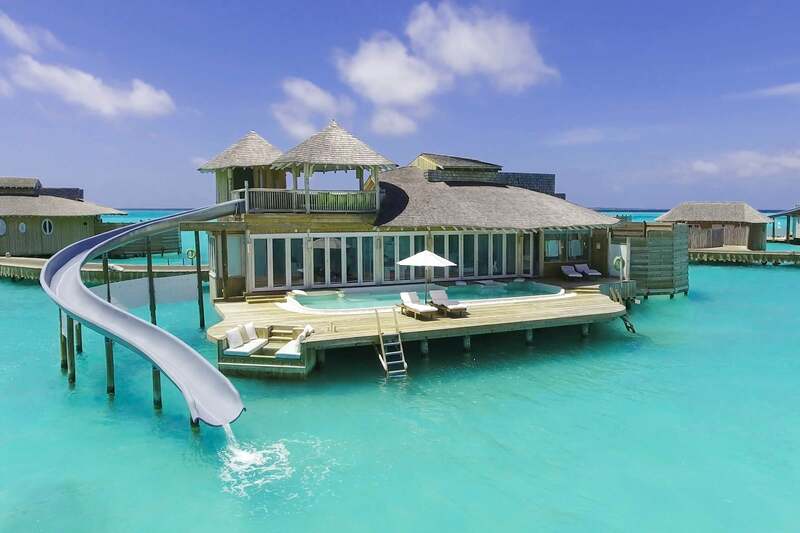 The no news, no shoes policy at Soneva Jani means the only thing you need to worry about on your honeymoon is how many times you can go down the bungalow’s water slide or lounge in the private pool before you get bored. When you’re not in your villa, have a romantic movie night at the resort’s overwater cinema, take a sunset catamaran cruise or make a wish for your love on the stars at the resort’s observatory, So Starstruck. 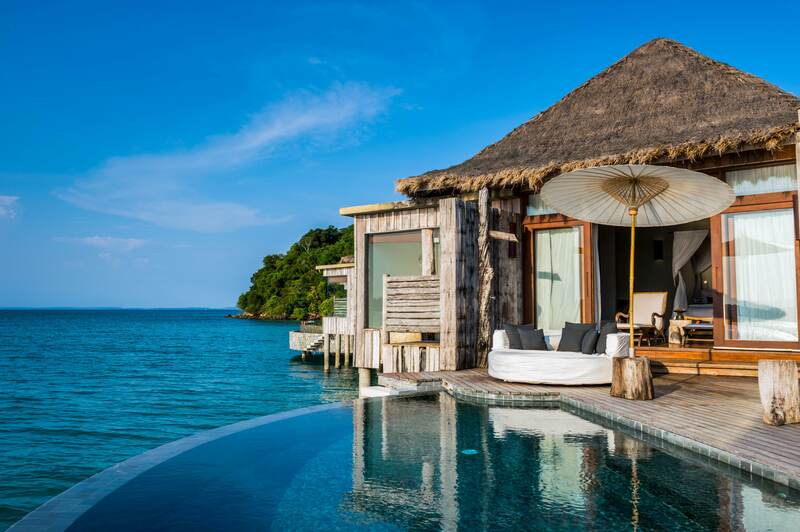 Cambodia isn’t the first place that comes to mind when people think of a luxurious overwater getaway, but that’s probably because those people have never heard of Song Saa. Lush rainforest, pristine beaches, glamorous, yet not fussy eco-luxe design and stunning views are just some of the reasons you’ll fall in love all over again at this private island resort located off the Cambodian coast. Perfect the art of doing nothing from your private swimming pool, recalibrate your Zen in the meditation room, snorkel colorful reefs or dine on Khmer classics at Vista restaurant. The choice is yours. Mexico is another destination that typically doesn’t make it onto the overwater villa list, but it should. 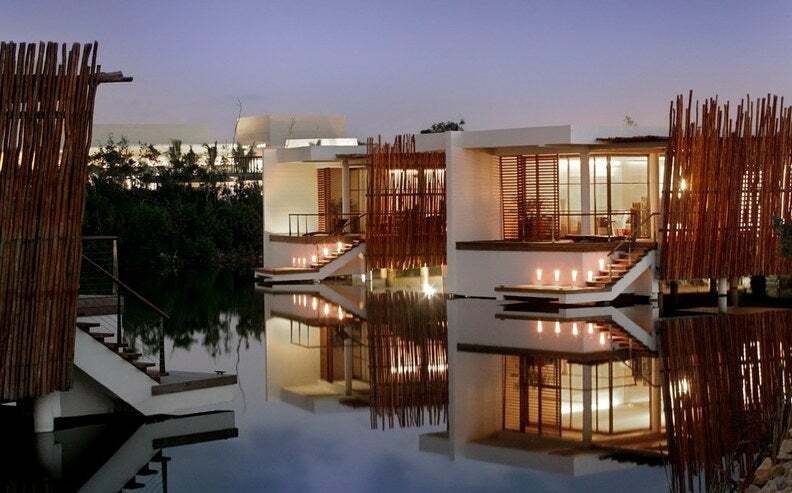 Located in an exclusive Riviera Maya enclave, Rosewood Mayakoba offers serenity, natural splendor and swoon-worthy accommodations. The Deluxe Overwater Lagoon Suite floats above the lagoon’s emerald waters and offers a relaxing plunge pool, luxurious bathroom complete with outdoor garden shower, spectacular views of the lagoon and more. Allow your butler to arrange cenote visits, snorkeling excursions and romantic dinners for two under the stars. Created as a partnership with the luxe beachfront retreat The Brando, the four overwater Brando Suites at the Intercontinental Bora Bora combines the eco-friendly and chic design of The Brando’s own villas with the InterContinental’s polished and personalized amenities. Each suite features floor-to-ceiling windows that perfectly frame the 180-degree views of Bora Bora’s turquoise-hued lagoon and the famous Mount Otemanu, a living and dining area and an expansive outdoor terrace with a 170-square-foot infinity-edge pool—the largest private pool of any overwater villa in French Polynesia. With 24/7 room service and in-suite spa treatments, why would you ever leave the room? Gone are the days where you have to take pricey flights half way across the globe to enjoy a luxurious vacation. 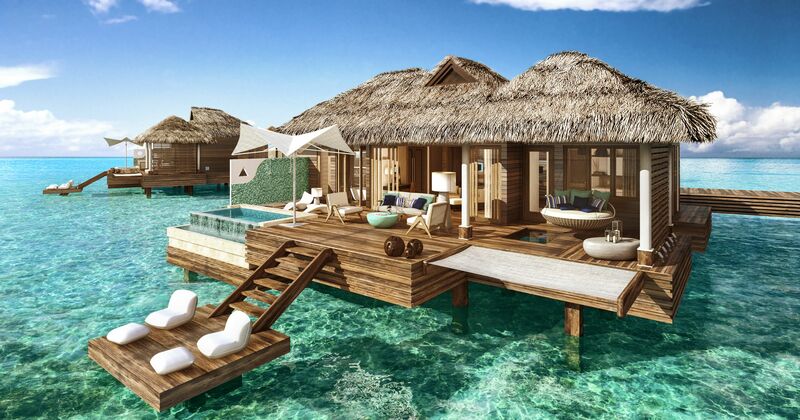 Sandals South Coast in Jamaica is an upscale adults-only escape featuring Tahitian-style overwater bungalows that feature 24/7 butler service, outdoor soaking tubs, over-water hammocks and Caribbean Sea views as far as the eye can see. If you can pull yourself away from the room, be sure to grab a drink at overwater bar Latitudes and watch the sunset.